Smashed is a cult piece that has become a worldwide sensation. Premiered at the National Theatre’s outdoor Watch This Space Festival in 2010, it received its first theatre performances at the Mime Festival and has since been performed more than 500 times across the globe. A sensational mix of skill and theatricality, Smashed is inspired by the work of seminal dance-theatre maker, Pina Bausch. For the festival's 40th anniversary this new version has been re-imagined from its original nine to more than twenty performers, with guidance from long-time Pina Bausch leading dancer and choreographer, Dominique Mercy. 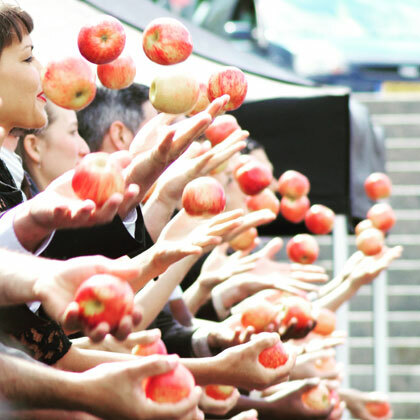 Featuring some of the world’s greatest jugglers, hundreds of apples and crockery galore, its nostalgic, filmic scenes hint at tense relationships, lost love and the quaintness of afternoon tea. Smashed: Special Edition is provocative, witty, jubilatory and astonishing to see. "Be dazzled by the skill of this fruity juggling group"
"It's saucy yet sophisticated about sexual politics and peppered with shrewdly funny observations on the absurd cruelties of human nature"
"Beyond the dazzling circus spectacle, however, there’s satire – like all the best apples, this has bite... Stunningly skilful. 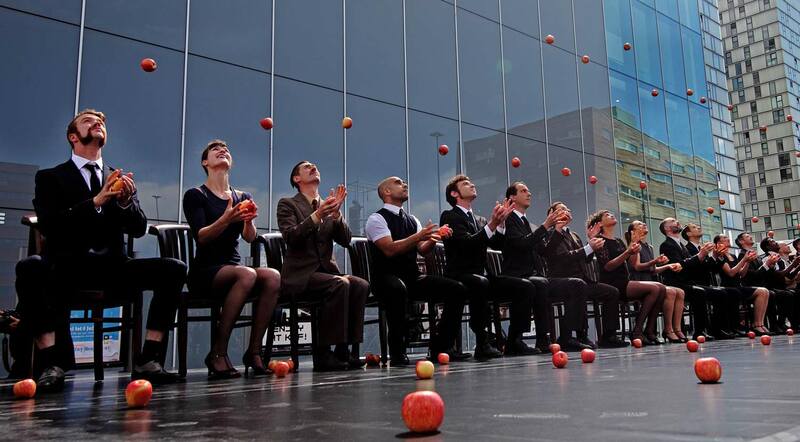 Outstanding"
"This hour-long piece from Gandini Juggling is so clearly inspired by the work of the great Pina Bausch, a woman who said balls to ballet. 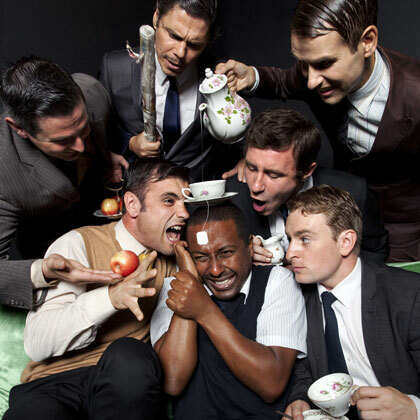 You can see it in the line of performers sitting facing the audience, in the cast's semi-formal attire and the use of popular songs, and in the disrupted spectacle of an afternoon tea party that turns savage. But you can feel it, too: this is a show in which the tensions between mind and body, concentration and distraction, surface blandness and hidden emotion, mathematical patterns and chaos often threaten to explode, and do in a finale of smashed crockery, which is as terrifyingly vicious as it is funny."